Anupama Negi is an actress who works in the theatre industry. She is best known for her performance in the play Yeh Hai Bombay Meri Jaan. Smita Juvatkar is an Indian theatre artist who performs with Mumbai's Manorang and Ekjute Theatre Group. Bakul Pande is an actor who works in the theatre industry. 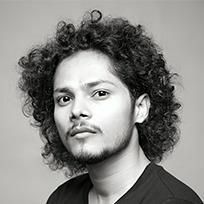 He is known for his performance in the play Jhumru and Jhumri.in. Sabir Shaikh is an Indian film director. He has worked as an Assistant director in movies like Gaddaar (1995), Army (1996) and Badmaash (1998). His next directorial project is the movie, Jaatiwad, which is all set to release in October 2015. Manzoor Patni is an actor who works in the theatre industry. He is known for his performance in the play Jhumru and Jhumri.in. Suhana Patni is an actor who works in the theatre industry. 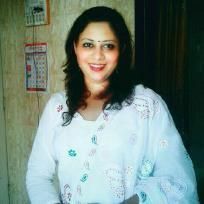 She is known for her performance in the play Jhumru and Jhumri.in. Jhumru meets Jhumri and wants to be friends with her. But is it impossible? Why? Can a Lion cub and a baby deer ever be friends? Or can they be? Come watch the play to know the answer. Experience the best Hindi plays at the Prithvi Theatre, Mumbai.